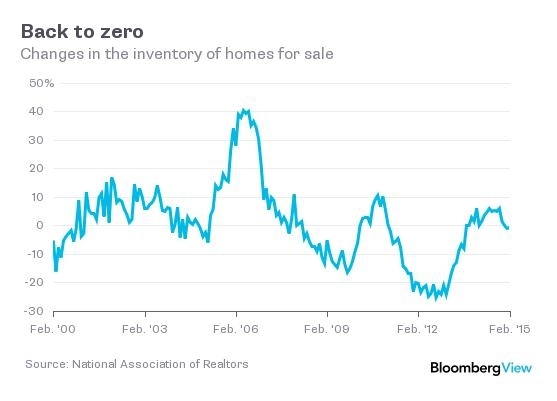 Read my latest Bloomberg View column Want a New House? Good Luck. 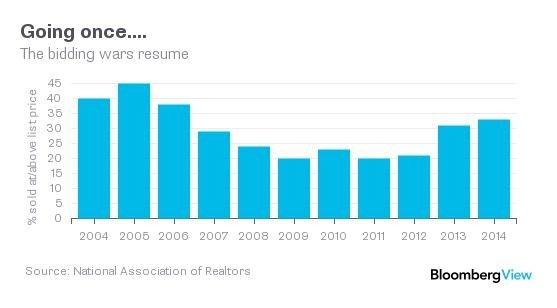 Read my latest Bloomberg View column The Bidding Wars Are Back. 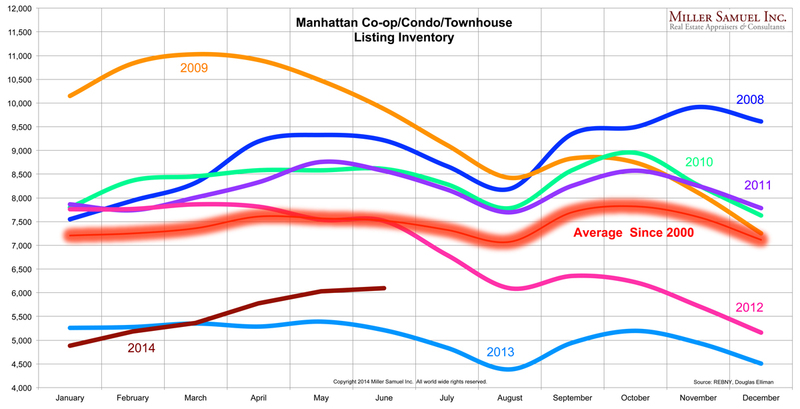 Yes, inventory is rising off the crazy lows of the past 2 years, but supply is still, well, low. 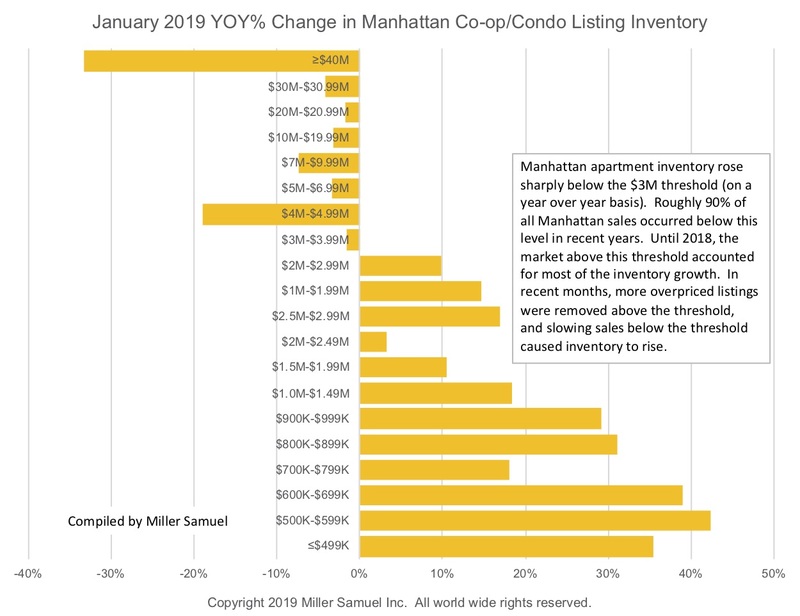 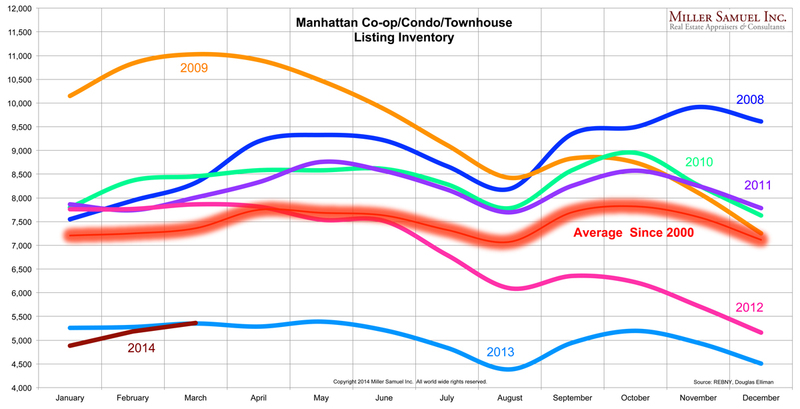 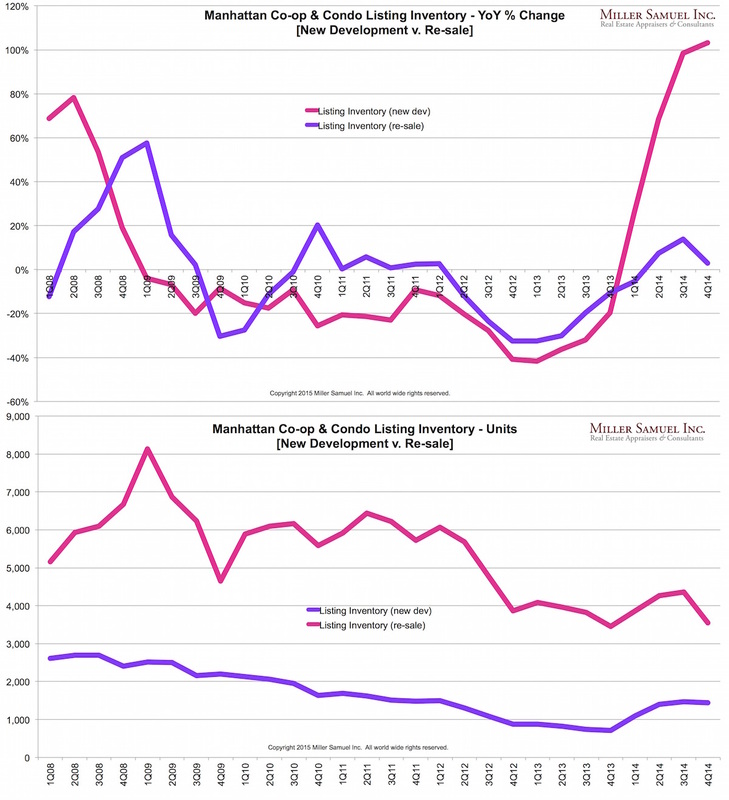 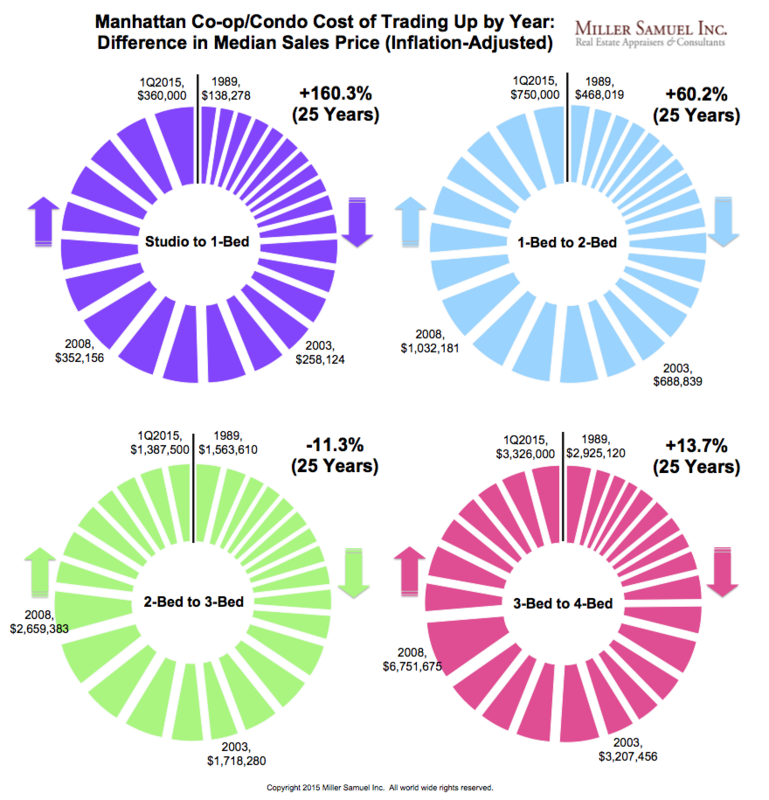 I took a look at the trend in Manhattan’s listing inventory on a weekly basis since the beginning of 2009 and matched it against the market share of inventory for each of the four regions. 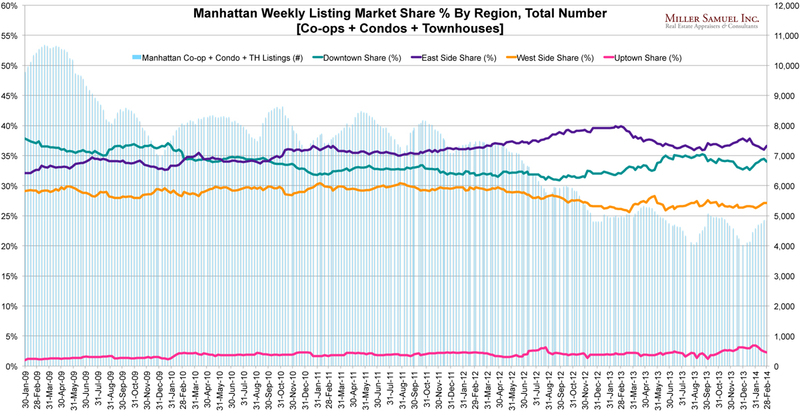 It looks like the West Side (yellow line) was the only region to consistently lose market share over the past several years. 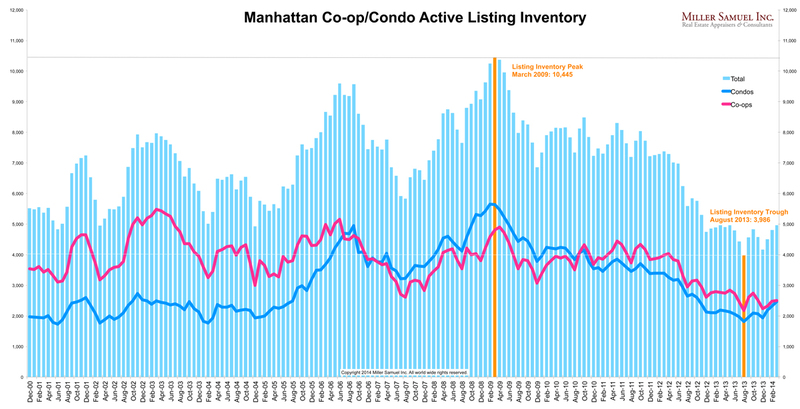 Since overall inventory has been falling during this period, this suggests that the West Side is tighter than the other regions but the absorption rate is about the same as the other regions.